In Part 1, the entire room was painted white. I liked it but thought that it might be too plain and too white. From my sketch and mockup idea, there were going to be two big white desks; the printer tables was to be white and the magnet board was to be in light gray. Somehow an all white wall idea may look and feel dull for this room. 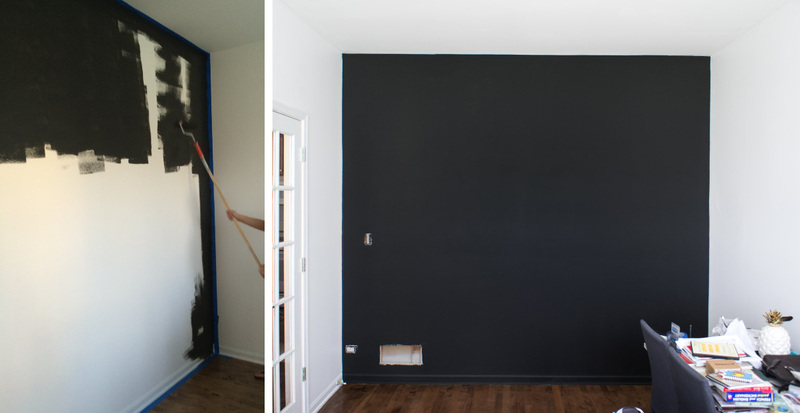 So I decided to paint the bookcase wall in black to add some contrast to the space. The color that I was looking for is charcoal black. I started off by picking color swatches, taped them on the wall, and tried to see how light reflect with the paint swatches and the bookcase. 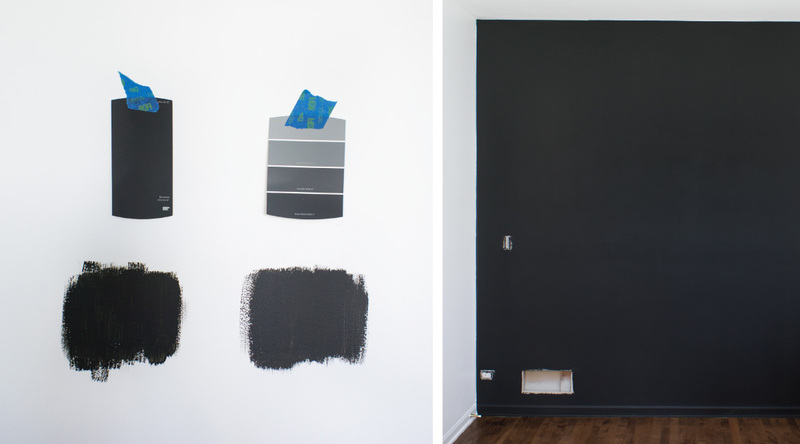 The paint swatches may look the same on the screen but in real life, there were different tints and shades of light that reflected on the swatches. 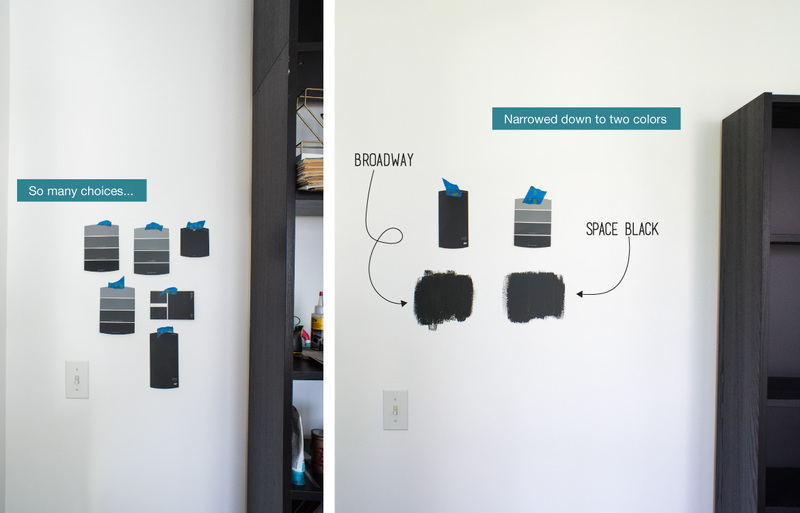 After I narrowed down to two swatches that I liked, it was time to test some paint on the wall. Finally the color I choose was—drum roll—Broadway from Behr (flat finish). It’s a bit darker than Space Black. I went with a flat finish. It gave the wall the matte finishes that I was looking for. Not a shiny effect which can compete with the bookcase. Aaaand done:) …. 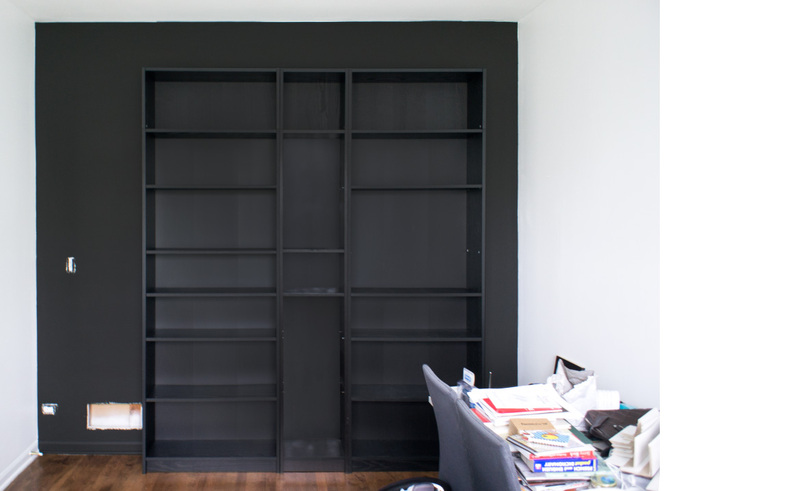 I really liked how the bookcases still have a darker shade of black than the wall.